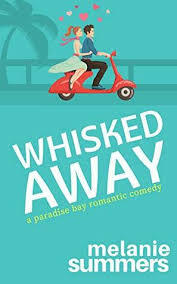 Synopsis (from Amazon): From the New York Times bestselling author of Still Alice Lisa Genova comes a powerful and transcendent new novel about a family struggling with the impact of Huntington’s disease. One (or more) Sentence Summary: WOW! 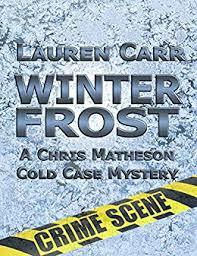 Lisa stuns me again with another amazing book. I was not aware of Huntington disease before reading Inside the O'Briens. It was very eye opening and reminded me not to judge people…I am not walking in their shoes. Lisa has that ability to put us right in the middle of the family and go through exactly what they are dealing with during the story. Just like Still Alice, I am left in awe and Inside the O'Briens is one of those books that will stay with me for a very, very long time. Favorite Character(s): Katie and Joe. Their relationship was so special. We learn so much about Katie and her struggles. We learn and "feel" the progression of the disease through Joe and his family. It all comes together through their relationship. What a strong father and unbelievable daughter. She is willing to put her own happiness and future on hold for her family. Fast read/slow read: So, so fast. I was hooked to Inside the O'Briens from page one. I couldn't get enough or read fast enough. Once I was finished with the book, I wanted more. I have to know more about the O'Briens. Lisa is one to write sequels, but this s a PERFECT story for a sequel (Please Lisa….consider it). Cover: It says, home and family to me! Would I Read Other Books by the Author: I always do. My first Lisa Genova book was Still Alice (still need to see the movie), Left Neglected was my second and Love Anthony was my third. I can't wait for her fifth book! 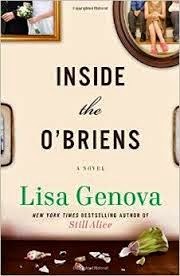 Lisa Genova is the New York Times bestselling author of Inside the O'Briens, Love Anthony,Left Neglected, and Still Alice. Her first novel, Still Alice, has been adapted into a film starring Julianne Moore, Alec Baldwin, and Kristen Stewart. Lisa graduated valedictorian from Bates College with a degree in biopsychology and holds a PhD in neuroscience from Harvard University. She travels worldwide speaking about Alzheimer’s disease, traumatic brain injury, and autism. She has appeared on Dr. Oz, The Diane Rehm Show, CNN, Chronicle, Fox News, and Canada AM and is featured in the Emmy Award–winning documentary film To Not Fade Away. She lives with her family in Massachusetts. good Mobdro is usually an app where people who wish visit here but for today, this can end up being for the people Download Mobdro nice. good The app on one tool creates a Wi-Fi connection, and the app on 2nd compatible device, SHAREit APK It could literally share any kind of sort of file. The file needs to be available on nice. i love Jio apps. Jio TV download may be the nice app to possess online TV streaming in your android and android Tablet. good an app store only, it has some eye-catching https://tutuappguide.com You could additionally get a lot of hack version of several exceptional apps nice. These systems generate waterandfire985 water and maintain the water flowing wateranalysis2 around the coils to bring it as much wateractivity959 as the perfect temperature level as the waterdispenser1646 water maintains flowing over those warm coils, waterparkinpune63you'll have sufficient water. awesome app can be downloaded in android devices from store. http://forpcguide.com SHAREit is too good to transfer data. Thanks for sharing this post, very informative. I have really liked your writeup. Opera Customer Support Help Use Our Service.